Our Special Character Head Girl, Molly Whittaker, came up with an idea as to how we can make a difference in the world. In term 1 all our children learnt about climate change through our Caritas Lenten study. Molly wants to do something about it. 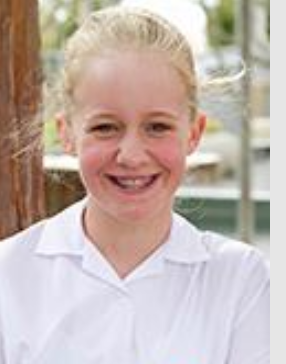 She came up with the idea of having every child in the school plant a tree on Cape Wanbrow. She brought the idea to the other head students: Peta Katoa, Fergus McMullan and Joshua Criddle and the four of them have been working on this project. The first thing is raising the money to buy the trees. To do this they have designed St Joseph's tea towels and offered them for sale to our school families. There has been good response for this but not yet enough to purchase a tree for every child in the school. So for the moment we will start at the top of the school and the head students will allocate a tree to each child for as many children as their tea towel fundraiser allows. Please support them by returning your forms for teatowels. The teachers enjoyed meeting up with the other catholic schools in the diocese last Friday in Alexandra. We were brought up to speed with the latest developments in the catholic community. Our last day of term will be Monday 18th December. We will be finishing at 12.30pm. The year 7 & 8s will finish on Friday 15th since they have already put in the extra day for technology while school was closed last Friday. We will have our carol-singing assembly and announcement of 2018 leaders at the Friday assembly which will start at 2pm. Our final mass and prize-giving will be at the Basilica On Thursday 14th December, starting at 6pm. All children need to attend this. 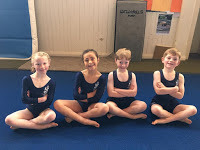 Well done to our gymnastics teams - 3 teams got 2nd place and 1 team got 4th place. 7 years and under - 2nd place - Lachlan McKeown, Mikayla Criddle, Eva Fatafehi, and Alexander Perniskie. 8 & 9 years - 4th place - Eva Keno, Indeg Jones-Hogan, Paige Geypen and Luce Asi. Our children are learning about Church - check out the information on the parent's page on our blog. Have a safe and happy holiday.